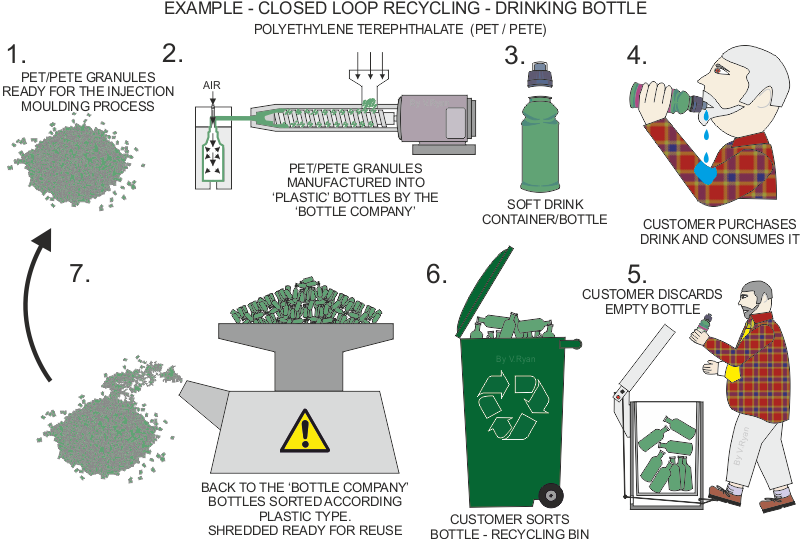 The stages below show the 'Closed Loop Recycling' of a PET / PETE soft drinks bottle. 1. 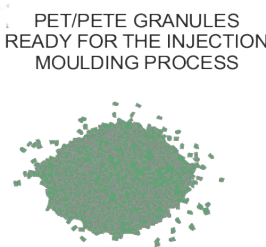 Recycled PET / PETE (polyethylene terephthalate), is prepared for use in an injection moulding / blow moulding machine. This material comes in a range of colours and is completely recyclable. When recycled it does not degrade into a lower quality form. In theory, it can be recycled again and again, without a drop in quality. 2. 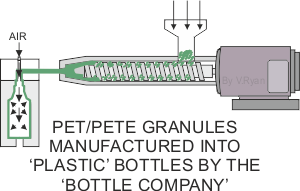 PET / PETE bottles are manufactured in an injection moulding / blow moulding machine. When formed into a bottle, it is lightweight and quite strong, capable of withstanding drops and knocks. When washed, PET / PETE is hygienic and used to contain a variety of consumable liquids. 3. The soft drink is added, lids / tops are pressed into position and a label stamped on to the container. The product is ready for distribution to shops and other retail outlets. 4. 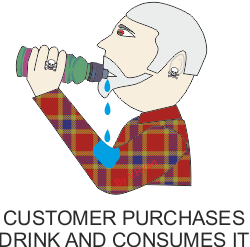 The thirsty consumer / customer buys the drink, takes it home and drinks the contents. 5. 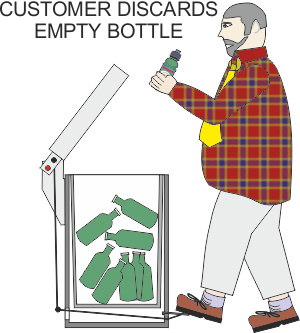 The customer discards the empty drinks container, placing it in a small recycling bin, in the kitchen. This should be done after washing. Dirty bottles will be separated from clean bottles later, at the recycling factory. This holds up the process and adds cost. 6. 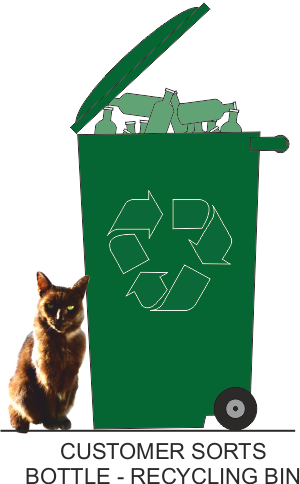 The customer then empties the small recycling bin into the larger external recycling bin. Every two weeks, the bin is collected and emptied by the refuse company. It is taken for sorting and shredding into small pieces. 7. 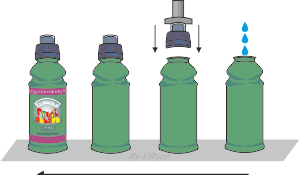 The ‘Bottle Company’ purchases the PET / PETE bottles. 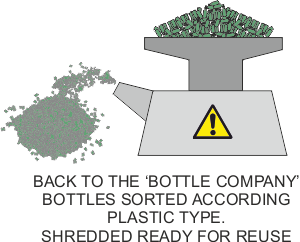 At it’s factory, the PET / PETE bottles are shredded, ready for reuse in the injection / blow moulding machine.